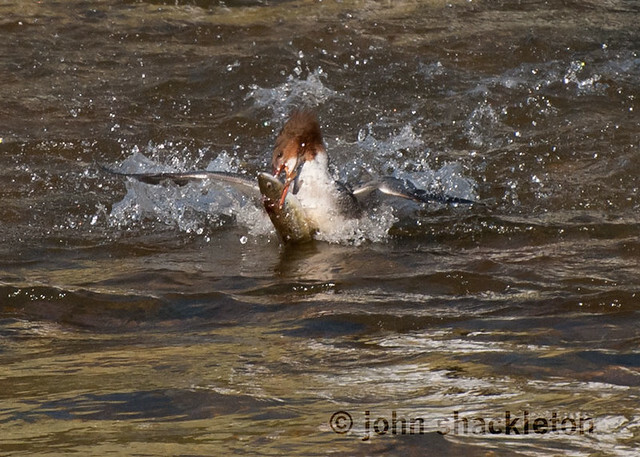 Two goosanders appeared about a month ago, the first time we’ve seen them along this river. 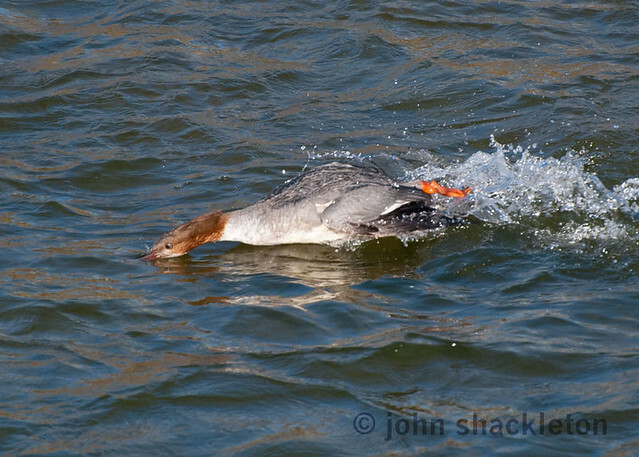 They are members of the sawbill family, so called because they possess a serrated bill used for hunting fish. We watched them fishing which is certainly an interesting spectical. With its head beneath the water they search for fish and when one is located they motor along at speed with thrashing their feet in chase. 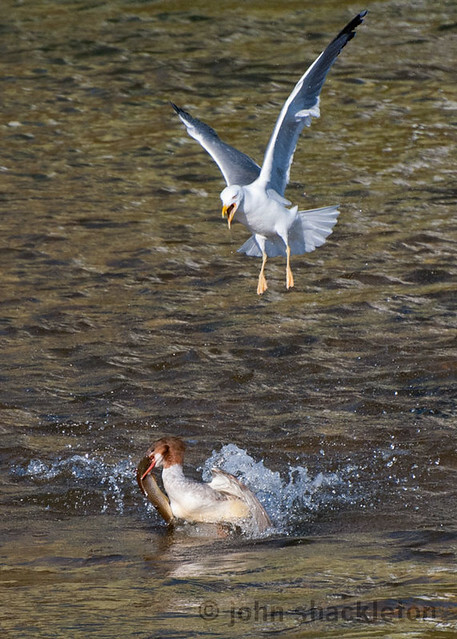 They have numerous unsuccessful attempts but we have witnessed it catch several fish, although one large trout was stolen by a watchful gull (see Picture 3).